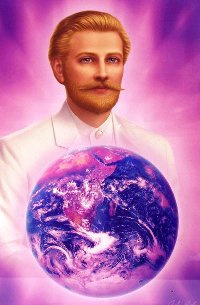 Ascended Master Saint Germain works with many channels to convey his messages from the Fifth Dimension. St. Germain via Dancing Dolphin: GCR/RV SITREP 10-3-18 St. Germain through Dancing Dolphin **RV/GCR SitRep–It’s ON! ** Received Wednesday, October 3, 2018 Yes, Diana, it is I, St. Germain and I indeed have a message for the Lightworkers of Earth tonight…. MESSAGE FROM MASTER ST. GERMAIN Channeled by Jahn J Kassl English edition by crystalflow translations What is the deeper meaning of friendships, and what does it mean to be a family? ● Friends serve each other as a mirror….